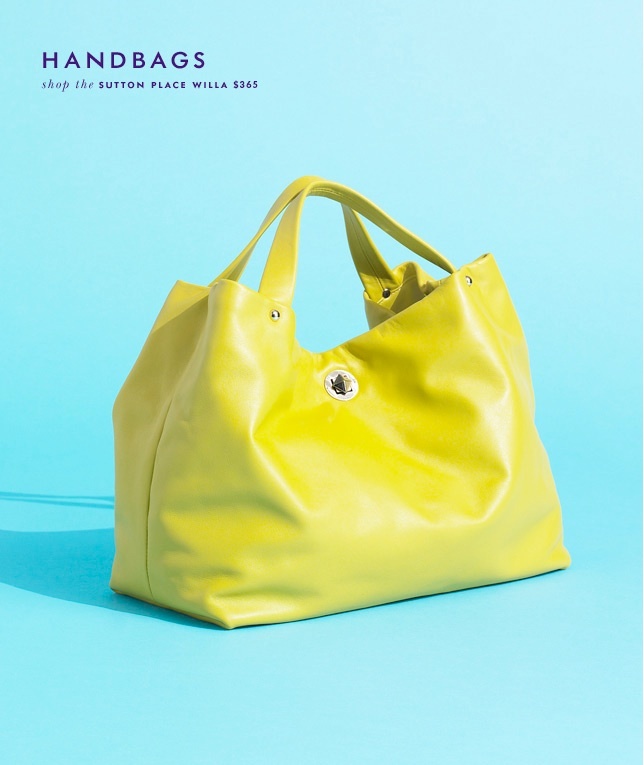 Ooh, I just love this yellow leather handbag! The color and shape are amazing. I think it would be a great addition to my collection. I mean how cute would it look with a little sundress, khakis and a navy cardigan, with jeans and a white button down, a little black dress, my black winter coat. . . . sigh!